Kingwood, Texas is a beautiful master-planned community approximately 25 miles from downtown Houston and conveniently located about 9.5 miles from George Bush Intercontinental Airport. There is easy access to the Beltway and the new Grand Parkway 99. Kingwood homes for sale can be found in detail below. Kingwood was officially annexed in 1996 by the City of Houston. The majority of the villages are in Harris County, however, there are a few villages in Kingwood that are part of Montgomery County. 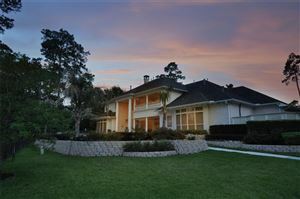 Homes in Kingwood can range in price from about $120,000 to well over $1 Million. There are 27 villages in Kingwood. Browse through these Kingwood homes for sale and if you have any questions or would like to see one of these homes, don't hesitate to call Tammy James at 281-732-1498.